p> Whether you want to supplement your current storage or put together a custom-built PC, the 300GB Internal HDD is sufficient for both purposes. Designed and assembled by top manufacturers, the 300GB hard drives are built to last longer while providing consistent storage capacity. The 300GB Hard drives are available with Fibre channel, ATA-100, Ultra-320, SATA and SAS interfaces. The maximum capacity of a SAS interface is 12Gbps while that of Fibre channel is 4Gbps. Most 300GB SCSI hard drives run at 7200 RPM but there are drives with rotational speeds up to 15,000 RPM as well. These drives are built to handle an intense workload. These 300GB Fiber Channel Hard drives are suitable for both personal and business use. Just use the filters on the left side of the screen to find a drive that best suits your needs and order it online. 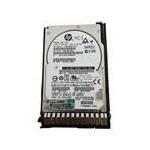 The 300GB SATA hard drives from EMC, HP, DELL, IBM and others are available here.